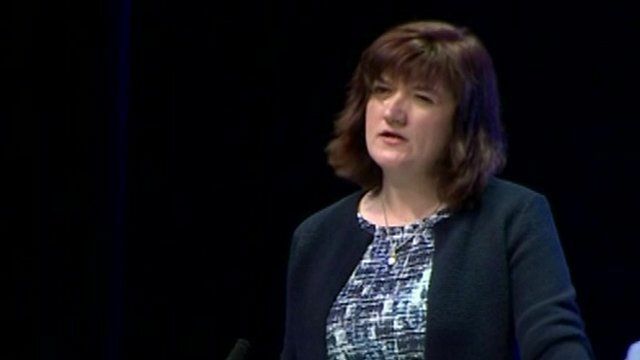 Morgan heckled at NASUWT conference Jump to media player Education Secretary Nicky Morgan was interrupted by hecklers several times as she addressed the NASUWT teachers' conference. Morgan's blunt message to teachers Jump to media player Education Secretary Nicky Morgan rejected criticism of plans to turn all state schools in England into academies in an address to teachers on Saturday. Why I moved to Dubai to teach Jump to media player The chief inspector of schools, Sir Michael Wilshaw, says the growing number of teachers heading overseas is worsening teacher shortages in England. Schools warn of 'recruitment crisis' Jump to media player Head teachers in England claim schools are in a "recruitment crisis" because so many teachers are leaving the profession and are not being replaced. Why UK adults are going back to school Jump to media player Why millions of UK adults are going back to school. For some, it's an opportunity to learn a new skill, for others it's an avenue back into the world of work. Education Secretary Nicky Morgan was interrupted by hecklers several times as she addressed the NASUWT teachers' conference. She was given a hostile response when calling on unions to work with ministers on controversial plans for academies and received lukewarm applause at the end of her speech.